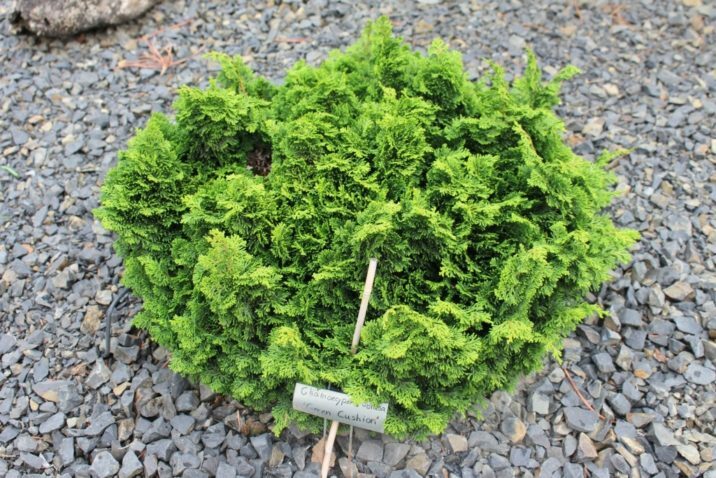 Chamaecyparis obtusa 'Green Cushion' is a densely structured bun of a Hinoki cypress with congested, rich green foliage. After 10 years of growth, a mature specimen will measure 6 inches (15 cm) tall and 12 inches (30 cm) wide, an annual growth rate of 1 inch (2.5 cm) or less. This cultivar originated as a seedling selected in the early 1980s by Verkade Nursery, Asbury, New Jersey. 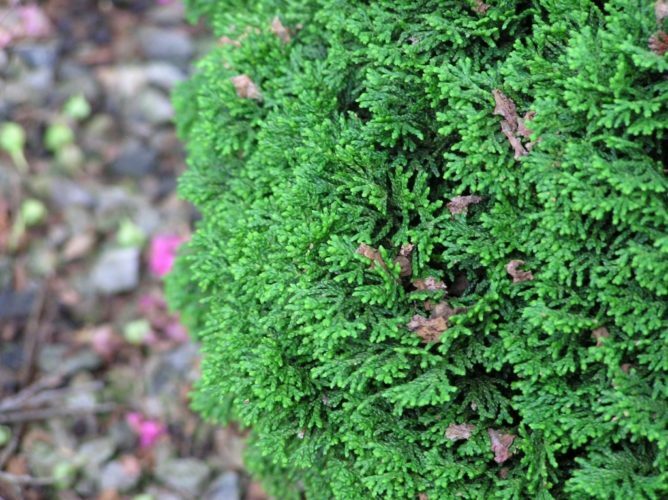 Chamaecyparis obtusa 'Green Cushion' — a closeup of foliage detail. 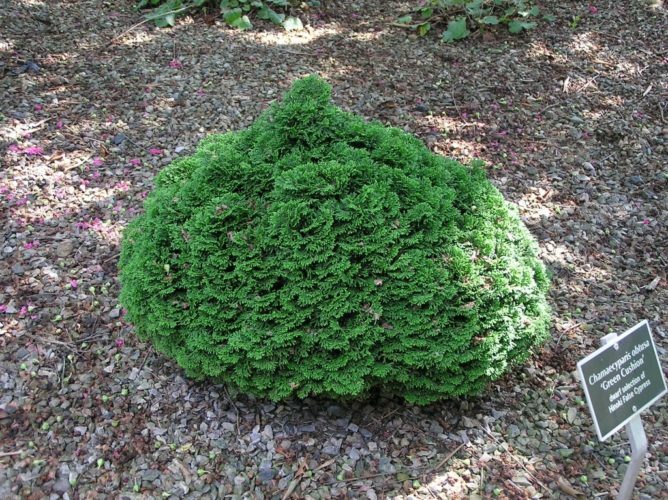 Chamaecyparis obtusa 'Green Cushion' — in The Gotelli Collection at The U.S. National Arboretum, Washington, D.C., May 2006. 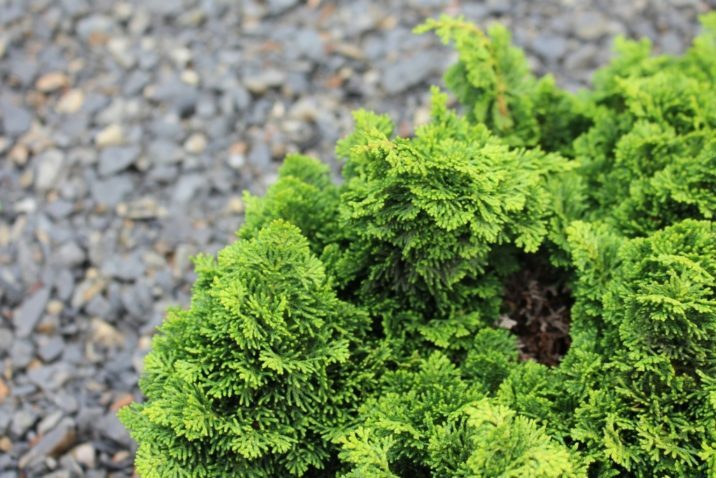 Chamaecyparis obtusa 'Green Cushion' — in the Flora Wonder arboretum, Gaston, Oregon.